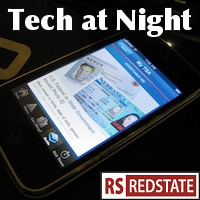 Tech at Night: ECPA reform continues to get support. Congressional fight coming over NSA? Tech at Night: Comeback edition, Part 1. Bitcoin, FCC, and get your Debit cards changed. Typical Obama administration lunacy: even when one Obama regulator actually deregulates, another Obama agency declares it’s going to re-regulate by fiat. Bitcoin users sure are gullible. Sometimes the title says it all, as in this post about the Obama administration’s amazing ability to erode one of the great achievements of regulation in America: spectrum auctions. Spectrum auction restrictions are a bailout of T-Mobile and Sprint. The Google position on ‘abandoned’ copyrights is a real problem, and what’s worse is they’re taking this sense of entitlement well beyond ‘abandoned’ works. Google is putting copyrighted books online in Google Books without bothering to get permission. That’s copyright infringement or, as Erik Telford calls it, piracy. An anarchist weeps because he’s in jail. I’m playing the world’s smallest violin for him.